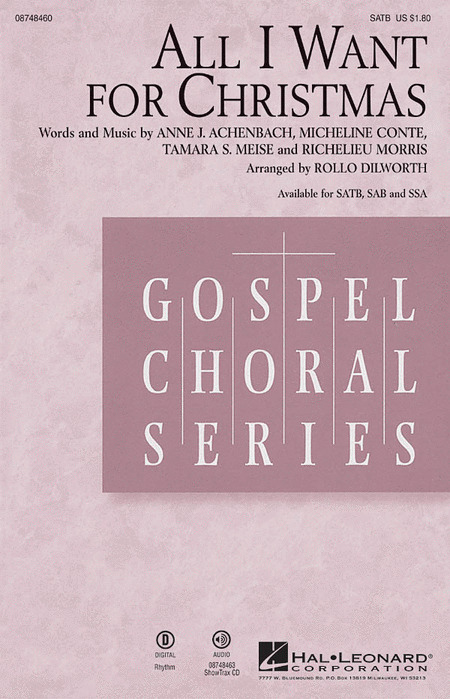 A selection of gospel songbooks and sheet music arrangements for mixed 3 voice parts. Post-holiday doldrums, summer choir vacation season, "snow" Sundays, or simply a smaller church-whatever the reason might be for your small and probably vocally unbalanced choir, the reality is that the music ministry is still important to the worship experience and appropriate anthems must be found. This superb collection can make that daunting task a joy. Ten anthems for any combination of voices in unison, two-part, or simple SAB make this a practical compilation. The talented composers and text writers included make it worth singing and hearing, and the price, at less than half the cost of the anthems purchased separately, makes it a very economically viable purchase as well. Perhaps the understated title of the collection should be altered to match the title of the first anthem-Let All The People raise Thee. This anthology makes that possible no matter who is in the choir on Sunday! Just like previous books in the series, The Ultimate Youth Choir Praise and Worship Book was created by researching what youth today are listening to and using in contemporary worship. Robert Sterling's singable arrangements can stand alone or be combined to create four unique worship services planned by veteran youth creator Karla Worley. This massive collection is filled with classic praise songs like "Shout to the Lord," "Open the Eyes of My Heart," "Lord, I Lift Your Name on High" and "Awesome God," and new modern worship songs like "Above All," "Forever," "The Heart of Worship" and "God of Wonders." Rhythm Charts are available for every song so that your youth instrumentalists can lead too. In addition, pastor Brian Winders, a former youth minister and professional baseball player, has created 22 Bible studies to complement each song in the book. Give your youth the opportunity to lead in worship at worship services, summer camps, lock-ins and mission trips with The Ultimate Youth Choir Praise and Worship Book. Ready to Sing Youth Choir is the first student choir collection from America's #1 selling series - Ready to Sing. These twelve amazing songs, made popular by today's top Christian artists, are now available in easy SAB arrangements by Russell Mauldin for youth choirs of all sizes. Filled with Christian music's top songs, such as "Undo" (Rush of Fools), "Made to Love" (Toby Mac), "East to West" (Casting Crowns), "You Reign" (Mercy Me), "Amazing, Because It Is" (The Almost) and many more, your student choir will be singing these God-focused songs to encourage each other and to share the gospel of Jesus Christ. Songlist: Glory And Honor And Praise, Come And Rejoice, People Of The Earth, Rejoice! Displaying 1-50 of 157 items. Uses: General, Call to Worship, Youth Choir Scripture: Psalm 5:11; Psalm 72:18-19; Psalm 113:1-3 This sprightly, good-natured piece is an energizing acclamation of praise. The SAB voicing is perfect for the spirit of the anthem, and the joyful, rhythmic approach is a great choice for a call to worship. This anthem is proof that SAB need not be thin or uninteresting! Perfectly crafted for that combination of vocal elements, this contemporary setting of the standard thanksgiving poem is a fine choice for choirs of any size. A memorable chorus affirms that every good and perfect gift comes from God above. Attractive! The familiar Lynn DeShazo worship song is masterfully arranged by Phillip Keveren, interwoven with the beloved hymn Amazing Grace. Keveren's tender and expressive choral treatment beautifully expresses the assurance of God's unfailing love and guidance in all we do. Uses: Communion Scripture: Luke 22:14-20; I Corinthians 11:23-34 Here is something a little different for communion processions. Written in a slow gospel style, this soulful song invites the seeker to the table to find joy, hope, and love. David Angerman and Joseph M. Martin combine their creative efforts to give us a memorable addition to Lord's Supper literature. Truly unique! This modern worship song has become a standard for both choirs and congregations. Lloyd Larson's arrangement is classic in itself and creatively incorporates the traditional hymn When I Survey the Wondrous Cross. Available separately: SATB, ChoirTrax CD. Score and parts (fl 1-2, ob, cl 1-2, bn, tpt 1-3, hn, tbn 1-2, tbn 3/tba, perc, hp, pno, vn 1-2, va, vc, db) available as a CD-ROM and as a digital download. Duration: ca. 3:50. Uses: General Scripture: Matthew 5:1-12 A foundational moment in Scripture is treated with musical interpretation in this artful selection for sanctuary choirs. The words that have comforted generations of people take wing in an emotive piece that touches the heart with truth, even as it inspires the singer with tender music. Lyricism and sensitive harmonic episodes abound while a cantabile piano accompaniment weaves a precious thread of beauty through this fabric of sacred sound. Available separately: SATB, SAB. Duration: ca. 4:41. Faye López : Born Today, Hodie! Uses: Call to Worship, Christmas, Introit Scripture: Isaiah 7:14; Matthew 1:18-25; Luke 2:11 From the first leaping melodic interval, this enjoyable flourish for Christmas encourages and delights. This anthem is one of those rare pieces that works equally as well with smaller ensembles as it does with large choral groups. Announcing the birth of Christ with a cheerful lilt, you will find the part-writing easily achieved and the piano supportive and filled with colorful impact. Add the handbells for a double dose of joy! Part for Handbells (3 oct.) available as a digital download. Uses: Christmas, Epiphany Scripture: Matthew 2:2; Revelation 22:16 This vigorous anthem is based on two well-known carol tunes. The first, La Marche des Rois, is a regal theme appropriate for the kingly nature of the text, and the second, The Coventry Carol, is one of the most expressive of our Christmas themes. This invitation to the manger is a great choice for post-Christmas services and the season of Epiphany. Solid! Orchestra score and parts (fl 1-2, ob, cl 1-2, bn, hn 1-2, tpt 1-3, tbn 1-2, btbn/tba, perc 1-2, hp, pno, vn 1-2, va, vc, db) and Consort score and parts (fl, ob, cl, bn, tpt, perc 1-2, hp, vn 1-2, va, vc, db) each available as a digital download. One of our most celebrated hymns is given a fresh treatment in this driving song of faith. Alive with a Celtic-inspired spirit, the piece practically sings itself! The surprise inclusion of another grace hymn in the body of the work will add a delightful twist to this attractive choral offering. Everyone, no matter the worship style, can embrace the hopeful message found in this instant classic! Score and Parts (vn, fl, ac gtr, b, perc) available as a digital download. Uses: Easter, Call To Worship Scripture: Matthew 28:5-6 The beloved Charles Wesley text is revisited with joyful results in this Easter offering for church choirs of any size. The lilting 6/8 meter creates an infectious spirit that instantly engages the listener. The accessible SAB voicing makes the piece a must have for smaller choirs. Uses: Advent, Call to Worship, General Scripture: Genesis 28:16-17; Psalm 121:1; Isaiah 2:1-5; I Timothy 3:15 Galloping confidently forward, this rhythmic praise anthem is filled with inviting lyrics and music. A syncopated opening theme announces the confident intent of the piece calling the faithful to gather for worship with great rejoicing. Contrasting sections add variety and incorporate the prophetic passages of Isaiah's vision of a world where peace is at last the inheritance. A jubilant piano accompaniment builds security and drives the choir to a convincing ending. A great up-tempo Advent call to worship! Pepper Choplin : Come, Emmanuel! This energetic paean of praise is alive with the celebration of Christ's triumphant entrance into Jerusalem, and will be a standout in your Palm Sunday programming. 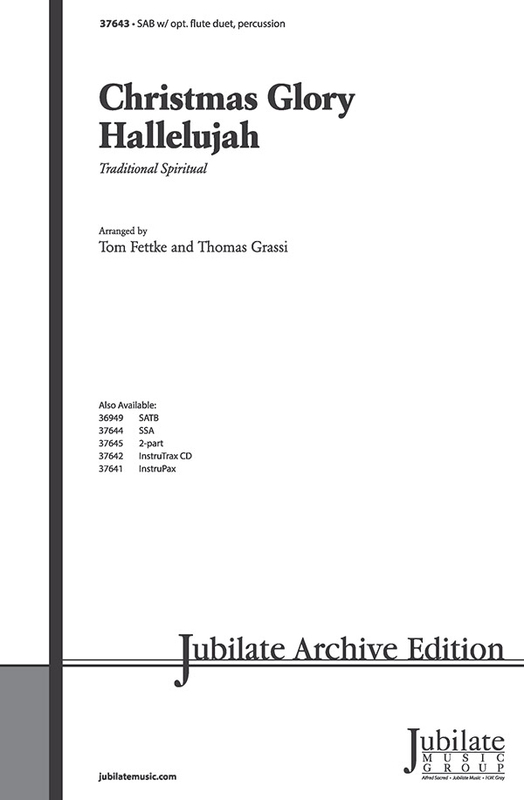 Written in the style of a Hebrew folk dance, the piece captures the joyful spirit of Hosannas and waving palms. Two presentation options are available: one with clarinets and percussion, and another with an easy to ring handbell part. The SAB voicing makes this anthem a great choice for choirs of any size! Score and Parts (cl 1-2, bcl, perc 1-2) available as a digital download. The handbell part is available as a free download. Now available in SAB and 2-Part! Many choirs have requested the music from this moving scene from the film O Brother, Where Art Thou?. This old gospel song can be performed a cappella as in the movie or with the accompaniment.Available separately: SATB, SAB, 2-Part, ChoirTrax CD and Instrumental Pak (score and parts for Violin 1 & 2, Viola, Cello, String Bass, Guitar, Electric Bass and Drums). Combining the traditional hymn Fairest Lord Jesus with the contemporary More Precious than Silver, Benjamin Harlan has created a prayerful anthem of devotion and adoration. The stirring piano accompaniment compliments the worshipful choral treatment of melody and lyrics. May be used during Lent or any Sunday of the year. 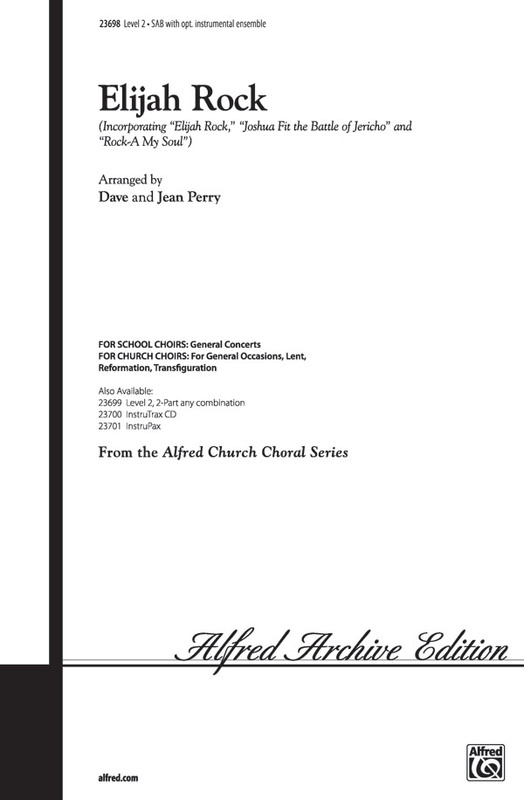 One of our best-selling octavos is presented here in a new voicing for smaller adult or youth choirs, featuring a soloist accompanied by an a cappella choir and percussion instruments. Uses: General, Mother's Day, Father's Day, Church Heritage, Baccalaureate Scripture: Luke 1:50; Psalm 145:4; Psalm 100:5 One of the most celebrated Celtic melodies is given new purpose in this splendid new retooling. Declaring the providence of God and his faithfulness, the SAB voicing brings lightness and clarity to the choral texture while the flowing piano part adds support and variety. For church heritage, Mother's and Father's Day, or use anytime, the SAB voicing makes this an excellent choice for slim Sundays. Duration: ca. 2:50. Now a staple in church literature, Henry Smith's praise song is effectively paired with the perennial O Come, Let Us Adore Him in this warm and worshipful arrangement by Phillip Keveren. The optional flute skillfully weaves a recurring motif throughout the piece, tying up this package like a beautiful bow! Duration: 4:50. Available separately: SATB, SAB, 2-Part Mixed, BonusTrax CD. Michael Barrett : Good News! Everybody Listen! Uses: Christmas, Youth Choir Scripture: Luke 2:8-9, Psalm 96:3, Matthew 28:19 A traditional spiritual is re-tooled into a cheerful Christmas spiritual announcing the birth of Jesus. Crafted for success, this one-rehearsal-wonder is a sure-fire-winner for ensembles of any size. A bouncy, joyful piano part supports the learning and reasonable ranges make this brief anthem truly accessible. Written by veteran minister of music Mark D. Edwards, this joyous and uplifting song is presented here in a well-crafted arrangement for choir. The chamber-like orchestration will add sparkle to any performance. 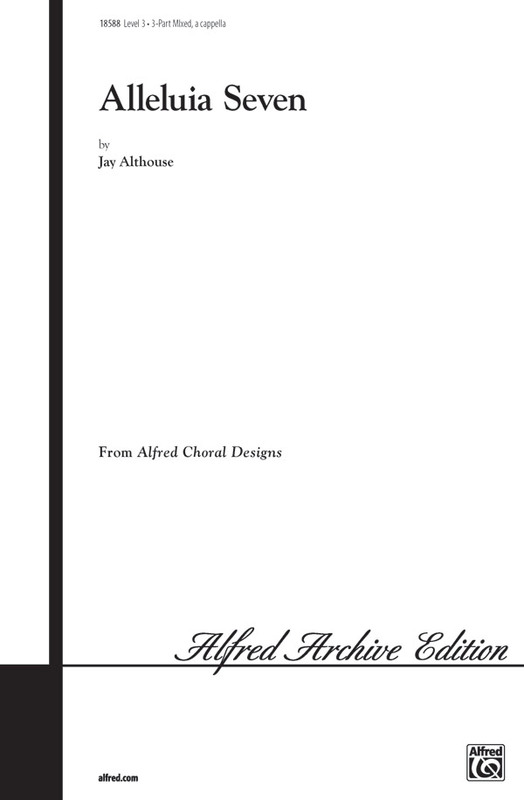 Available separately: SATB, SAB, SSA, Chamber Orchestra score and parts (sc, fl, perc, vn 1, 2, va, vc), ChoirTrax CD. Duration: ca. 3:05. Recorded by Amy Grant, this song expresses the deepest wish in everyone's heart, the hope for peace and of a better world. Ideal for featuring a special soloist, this pop ballad will create a magical moment in your performance!Available separately: SATB, SAB, SSA, and ShowTrax CD. Performance time: Approx. 3:30.